It seems to be the summer of plastic bans. Starbucks, Hyatt, the city of Seattle and others have all committed to phase out plastic straws. Stafford Township in New Jersey passed a plastic bag ban just last month, joining dozens of other American cities and states imposing taxes or bans on single-use plastics. Not if that’s all we do. Use of single-use plastics (think wrappers, straws and bags) has skyrocketed over the last few decades. But as I explained recently, our ability to recycle these plastics at scale remains poor. Globally, 8 million metric tons of plastic trash leak into our natural spaces each year, harming wildlife, mucking up the ocean and jeopardizing people’s livelihoods. So it’s understandable why bans are becoming popular. The beaches of New Jersey, for example, bring in billions of tourism dollars each year, creating jobs and funding local municipal needs. These sprawling, sandy spaces and the busy boardwalks that line them are an important part of local life. There are clear personal and economic incentives to keep these beaches clean, which make plastic bans politically palatable despite the inconvenience. It’s encouraging that local governments are focusing on passing laws to fight plastic litter. 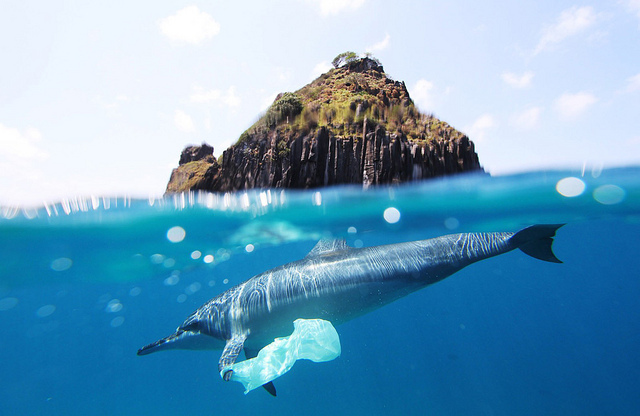 Unfortunately, while these laws may reduce the most visible form of plastic pollution, it could be at the expense of other environmental impacts. That’s because, somewhat ironically, disposable plastic bags require fewer resources (land, water, CO2 emissions, etc.) to produce than paper, cotton or reusable plastic bags—by a wide margin. Banning plastic straws is also increasingly popular. Starbucks recently announced that it would phase out use of plastic straws by the year 2020. Straws don’t provide as much utility as bags, so for many this is an easy adjustment. But these bans leave the impression that they solve the plastics pollution problem without much discussion of systematic solutions. As a society, we should think holistically about the products we use and their impacts. We can’t just ban bad products—we must invest in alternatives. That same Danish study suggests that the most eco-friendly bag option for consumers is polyester, reused at least 35 times. This keeps plastic pollution out of our natural spaces and reduces the per-use environmental impacts of the bag to the lowest-possible levels. 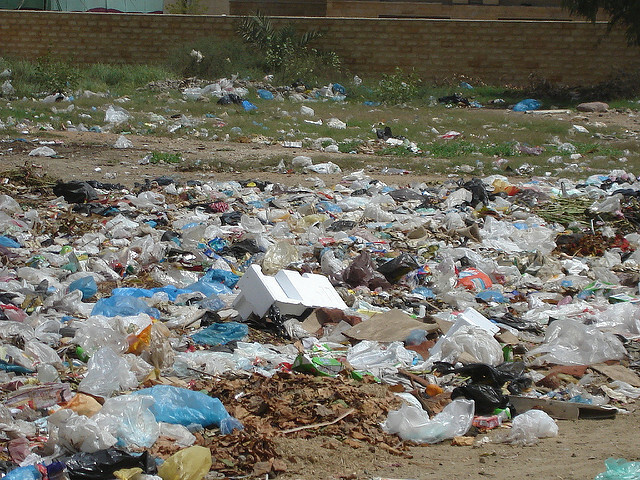 However, it will take a lot more than reusable bags to solve the plastics pollution problem. Right now, only about 9 percent of plastics are recycled globally. As of January 1, China refused to import most recyclable materials from the United States and other developed countries, claiming the materials exceeded acceptable contamination levels. This has backed up the flow of disposed paper and plastic, causing serious problems for local waste management companies. However, there may be an ironic upside to China’s decision. For too long, the easy option of shipping excess recyclables to China has resulted in underinvestment in in optimizing plastics, maximizing their recovery and reducing waste. Governments at the state and federal levels need to team up with private industry to address more systemic issues. We need to invest in redesigning plastics so that they can be readily broken down into their molecular units and remanufactured into new plastics of the same quality, the essence of a closed loop system. We need better recycling technology that can address the major obstacle of recycling plastics: about 25 percent of plastics collected are contaminated and therefore unusable. We need to reinvest government budgets in the infrastructure and associated policies needed for these systemic solutions. Once these technologies are deployed at a large scale, we can start recapturing the economic value of plastics, incentivizing their recovery and recycling, while minimizing plastic pollution and overconsumption of natural resources. We need a wider array of smart public policies, a recycling infrastructure that’s right-sized for the problem, better recycling technology and new business models. Banning single-use plastic bags and straws without significant further action is putting a finger on a spigot at a time when we need to suppress the tidal wave.